The Board is committed to ensuring that Kula Gold is properly managed to protect and enhance Shareholder interests, and that Kula Gold, its Directors, officers and employees operate in an appropriate environment of corporate governance. 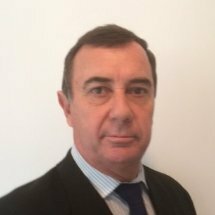 Garry joined Kula Gold as the Chief Financial Officer in October 2014 and was appointed Company Secretary in July 2015. Garry is an experienced Chief Financial Officer, with over 27 years in corporate finance, financial management, accounting and commercial roles, as well as company secretary for a number of unlisted and listed companies on the JSE and London Stock Exchanges as well as ASX listed companies since immigrating to Australia in 2008. He has been a key figure in strategic management teams tasked specifically with developing and controlling finances in growing businesses.